The Theodore Payne Foundation, established in 1960, operates a year-round, retail nursery offering the region’s largest and most interesting selection of California native plants—hundreds of different species and cultivars, many of which are drought tolerant and low maintenance. The Foundation also has an excellent bookstore and offers a variety of classes. Founded in 1965, the California Native Plant Society—a statewide nonprofit organization—is California’s largest native plant conservation, education and advocacy program. The Gardening section of the Society’s website contains a wealth of information and resources to help get you started. If you’re interested in attending events or connecting with other native plant gardeners in your area, visit the website, which includes a map of local Society chapters. The California Native Plant Society’s website also contains an excellent map of native plant nurseries throughout the state. Grow Native Nursery is located at Rancho Santa Ana Botanic Garden in Claremont, California. They are open to the public and offer expert staff and a stunning selection of fresh, vibrant native California plants and water-wise solutions for home landscapes. Rancho Santa Ana Botanic Garden has been selling native plants to the public for more than 30 years. Expert nursery staff are on hand to help you create a gorgeous native plant landscape. 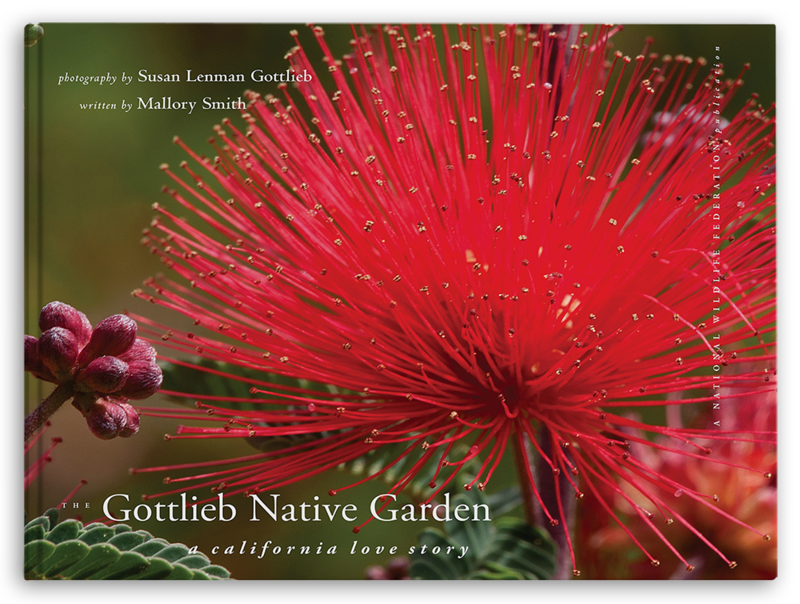 Published in 2016, this acclaimed book about the Gottlieb Native Garden includes over 100 gorgeous photos by Susan Gottlieb of her California native plant garden and the wildlife that calls it home, as well as inspiring text by writer Mallory Smith. All proceeds from sales of the book are donated to a range of environmental nonprofit organizations. 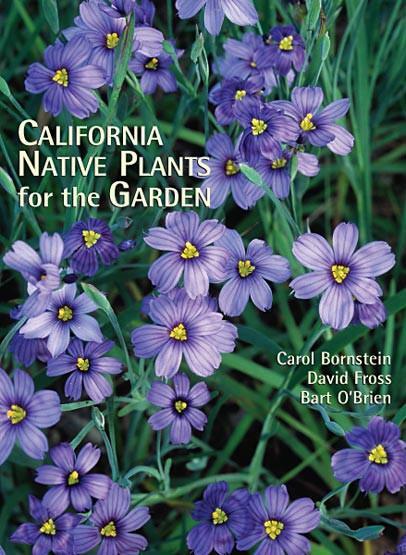 Published in 2005, this book is a must-have for every gardener who has an interest in California's unique flora. 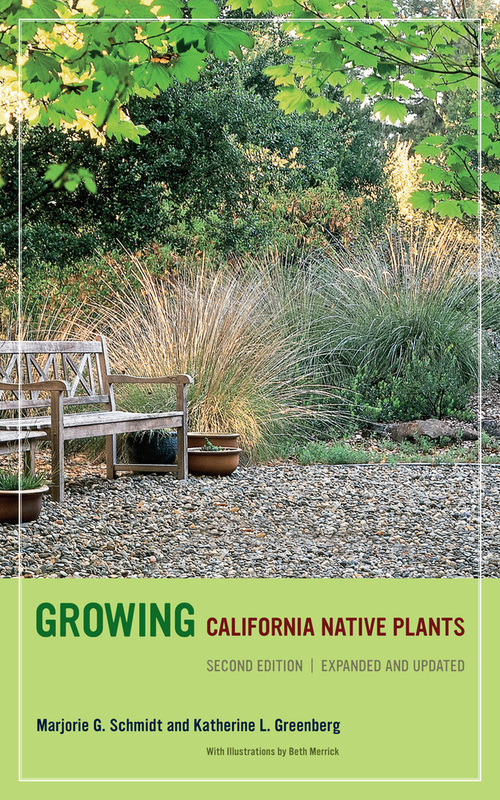 Featuring more than 500 plants and illustrated with 450 color photos, this beautiful reference book describes the best California species for gardens and provides detailed advice on their cultivation--from landscape design and installation to watering, pruning, and pest control. First published in 1980 by University of California Press, this expanded and updated edition is a hands-on native plant guide for both experienced and novice gardeners.